The Washington Chestnut Company Farm was brought into operation in 1988 with the initial planting of the Butternut trees. These Butternut trees (also known as white walnut) were planted as seedlings. Between 1988 and 2005 the Butternut trees grew and matured. In 2005 we harvested our first Butternuts. Also in 2005 plans were put into place to extend the nut production to include chestnuts and English style walnuts. In the early spring of 2006 the first of 4 planned plantings took place. The 2006 planting was composed of 3 plots. The first plot of about 3/4 acre of chestnuts was placed in soils varing between sandy loam to a heavy loam. The heavy loam soil is permeable but has significant amounts of clay causing high retention of water. The second plot with an area of about 1/2 an acre, was placed in light sandy loam soil (considered the best growing medium for chestnuts). The third plot consisted of English style walnuts. These plantings all represent high risk effort due to limited knowledge of growing chestnuts and walnuts at the north 49th parallel. Plantings in 2007 placed chestnuts in organic based soils with a ph of about 5.3 with some areas exposed to winter flooding. Due to the low yield of current chestnut varieties, only marginal land not in use producing greater valued products can be used economically to provide commercial chestnut products. When the pioneers and the experts in the commercial chestnut industry are able to establish best practices and orchard management standards then you will see many farmers adding chestnuts to their farms. Where production per acre can be maximized without experimenting, will you find chestnuts grown in better growing conditions. Initial harvest of the butternuts started in the fall of 2006. Chestnut production started in the fall of 2008. 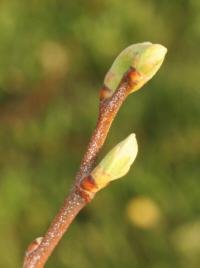 Initial production of English walnuts will start in the fall of 2010. Growing chestnut trees for nut production is time consuming, expensive, and the trees die easily. In this guild you will find lots of information on how to get chestnut trees started all the way through getting the most nut production from your mature chestnut trees. If you are thinking about growing a few chestnut trees around your house this entire guide will be helpful. If you already have chestnut trees and your trees are not doing so good, this guild may be able assist you with getting the trees to produce more nuts. Most of all the guild is intended to help anyone interested in growing chestnut trees with the basic knowledge needed to get started. Follow our progress while we get our orchard established! © 2006 - 2017 Washington Chestnut Company All Rights Reserved.